Who are the five greatest West Indian cricketers of all time? If you grew up in the late 1970s through to the early 90s, you knew only of a dominant West Indies side. With a mix of intimidation and flair plus a big dose of charisma, a great West Indies was great for cricket. Though short in quality slow men, they didn’t need them, because they had great fast bowlers, brilliant batsmen and a superb decade of service from wicketkeeper Jeff Dujon. He stood behind the stumps for the majority of their glory years. Sadly for West Indies cricket fans and for cricket fans in general, times have changed. They are not a force in Test cricket and haven’t been for some time – though they’ve tasted T20 success, which is now their main focus, or so it seems. 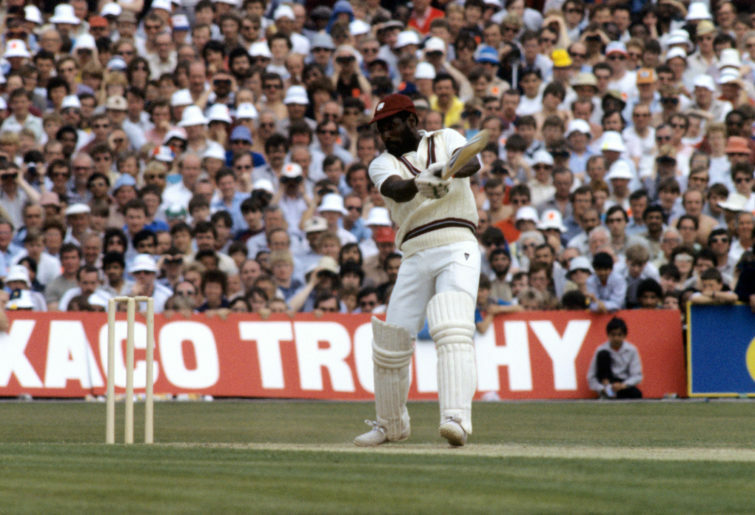 Let’s look back and consider who the all-time top five West Indies cricketers are. Criteria include statistics, ability, presence on the field, influence on matches and success they brought to their team. A slowish start to his Test cricket career was quickly forgotten when in his fifth test an epic 277 in Sydney announced his arrival. He broke the world record for highest individual innings twice in Test cricket and remains the only man to make 400 in a Test innings. Lara had the ability to win tests almost by himself. He just about did so against Australia in 1999. Without his 213 in the second test and his 153* in the third Test, the home team would not have gotten close to winning those either. Equally good against pace and spin, Lara’s 688 runs in three Tests away against Sri Lanka as part of a side that lost all three Tests in that series was a truly magnificent individual performance. The old adage that Lloyd had an easy job as captain because he had to make the ‘difficult’ choice of giving the ball to Joel Garner or Malcolm Marshall or Andy Roberts or Michael Holding or Colin Croft was unfair. Gathering players from different nations and turning them into a juggernaut was a legacy Lloyd left behind. He did better than anyone before or since. Clive Lloyd’s heavy 5-1 loss at the hands of Australia steeled him. Adamant it would never happen again, he assembled a fast-bowling battery that dominated world cricket for the next two decades. 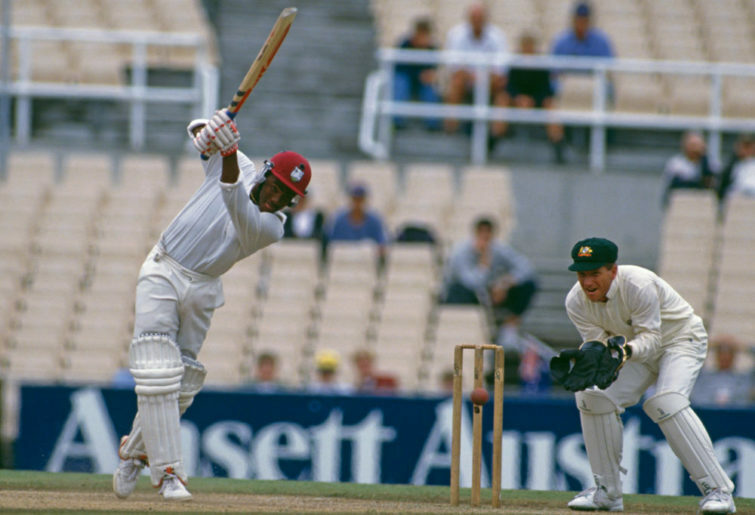 It would be hard to find anyone who had a greater influence on West Indies cricket than Lloyd. Rated by many as the greatest fast bowler in the history of the sport, Marshall combined speed and skill to be an all-time great. Not as tall as his fellow fast bowlers, Marshall got good bounce and bowled at genuine pace, and with his accuracy he dismissed many a batsman caught at the wicket. He got smarter as he got older, reducing his long run-up but still bowling with effectiveness. e was arguably the best of a great bunch. He remains at the top of the tree for bowlers with 200 wickets or more in terms of averages, with an impressive bowling average of 20.94 from his 81 Test matches. Some players draw people through the gates or make you stop what you’re doing to watch. Shane Warne with the ball, Adam Gilchrist and Virat Kohli with the bat are some. Viv is another. Not technically correct and happy to play across the line, Richards was a combination of talent, strength and supreme confidence. No matter what conditions were presented to him, Viv calmly swaggered to the crease in the famous West Indies cap, chewing gum, never considering taking a backwards step. Richards enjoyed great success in both formats he played in and is considered by most as a true legend of the sport. I’m going to have to admit that Garry Sobers was before my time. There is a particular piece of footage shown quite a few times now that gives a good indication of how good Sobers was. It shows only six balls, but Sir Garfield scores a total of 36 runs off them. If you watch the footage of his fast but smooth swing, it’s not hard to work out how good he would have been to watch bat. However, Sir Garfield wasn’t just pleasing to the eye; his average of 57.78 places him as one of Test cricket’s greatest batsmen. If you then factor in his 235 wickets with seam and spin and 109 Test catches, you are left with the most complete cricketer who has ever played the game.